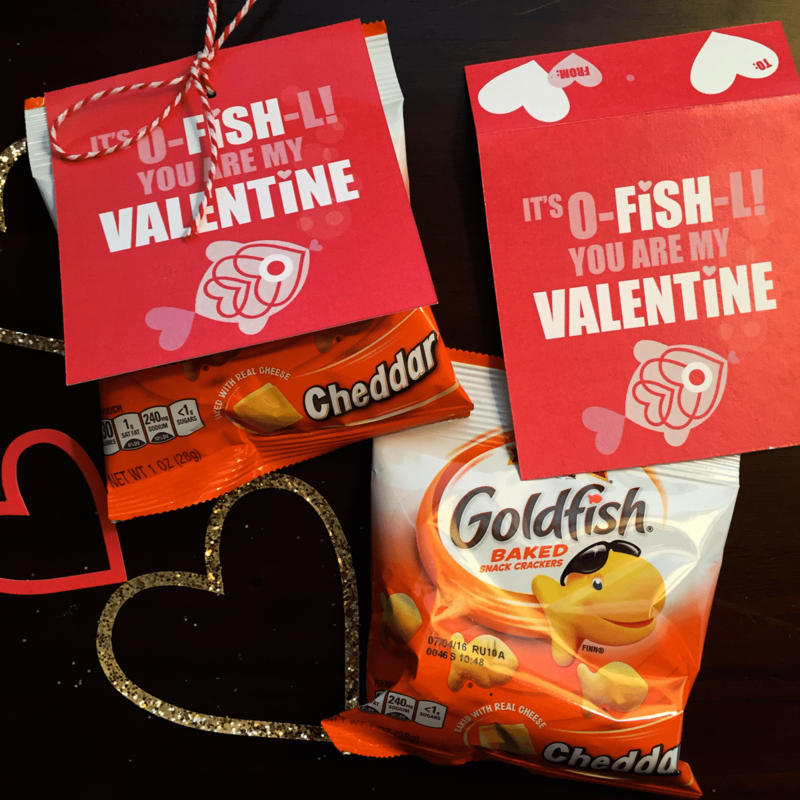 Every February brings the attempt to make great school Valentines for my son to give his friends. What is key is that it has to be something my son would enjoy if he received it. Now, this may shock you – but he dislikes sugar and sweet things. He doesn’t like candy, cake, ice cream – nothing that most kids enjoy. He is a salt kid. Give him crackers, chips, pretzels or some salt popcorn and you are sure to get a smile. 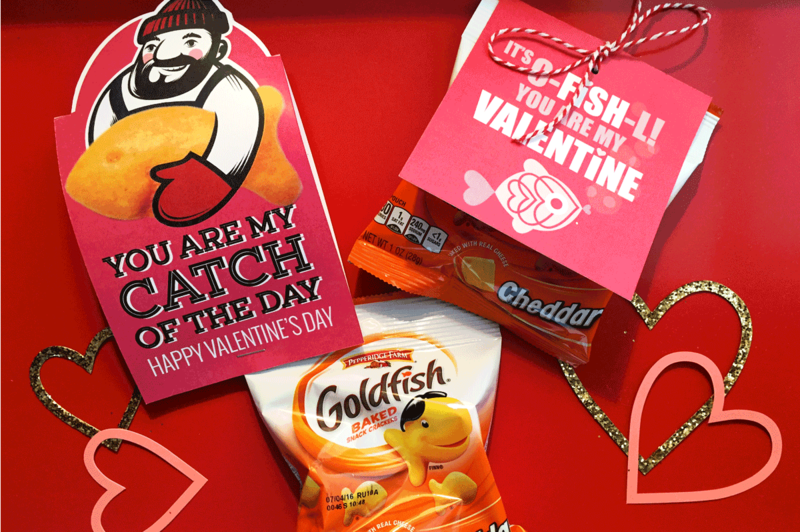 His favorite has always been Pepperidge Farm® Goldfish® Cracker Snacks. 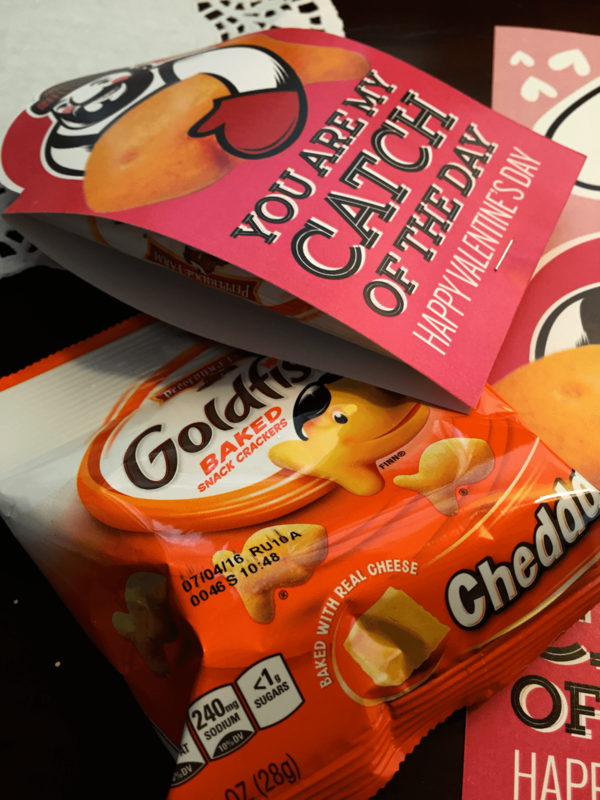 The snacks come in small packs perfect for giving out as Valentines. 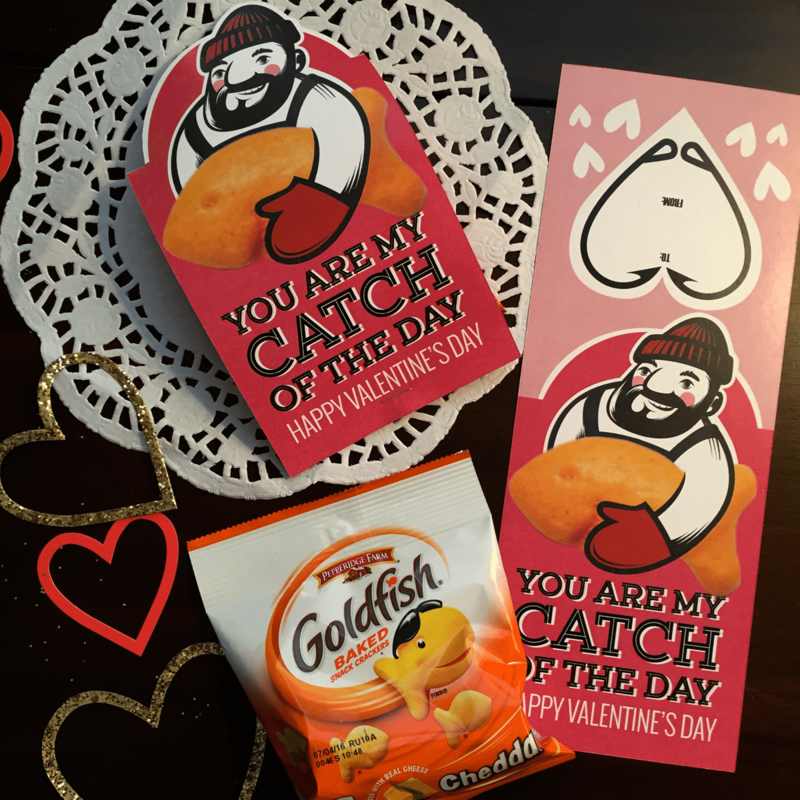 Best part are all the fun “fish” puns and phrases I can use to make unique Valentines for his classmates. 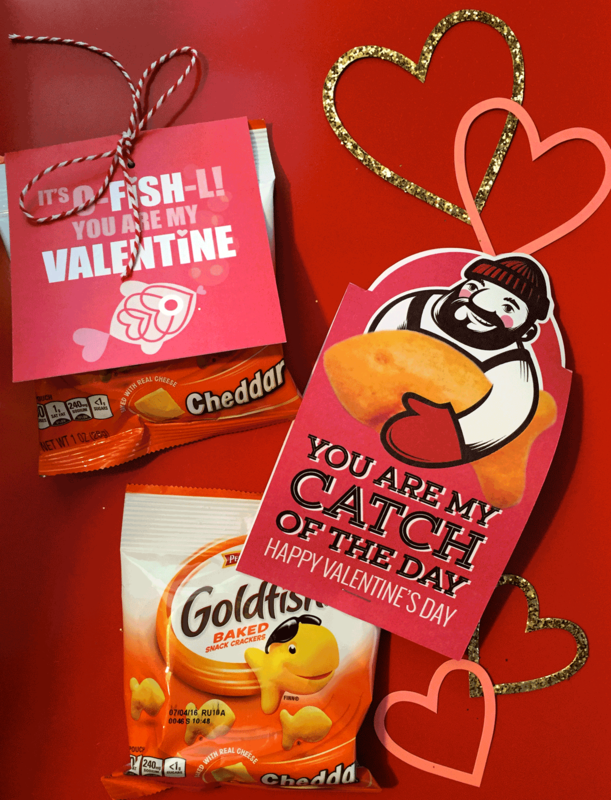 The first is a free printable/downloadable for you to use with this cheesy snack. The second free printable/downloadable is a real catch and sure to make the kids laugh.